"Whoever is merciful even to a sparrow, Allah will be merciful to him on the Day of Judgment." In Islam, mistreating an animal is considered a sin. The Quran and guidance from the Prophet Muhammad, as recorded in hadith, give many examples and directives about how Muslims should treat animals. The Quran describes that animals form communities, just as humans do: "There is not an animal that lives on the earth, nor a being that flies on its wings, but they form communities like you. Nothing have we omitted from the Book, and they all shall be gathered to their Lord in the end" (Quran 6:38). These verses remind us that animals are living creatures with feelings and connections to the larger spiritual and physical world. We must consider their lives as worthwhile and cherished. "And the earth, He has assigned it to all living creatures" (Quran 55:10). It is forbidden in Islam to treat an animal cruelly, or to kill it except as needed for food. The Prophet Muhammad often chastised his Companions who mistreated animals, and spoke to them about the need for mercy and kindness. Here are several examples of hadith which instruct Muslims about how to treat animals. Reward for mercy: It is related from Abu Umama that the Messenger of Allah, may Allah bless him and grant him peace, said, "Whoever is merciful even to a sparrow, Allah will be merciful to him on the Day of Judgment." Animals are like humans: “A good deed done to an animal is like a good deed done to a human being, while an act of cruelty to an animal is as bad as cruelty to a human being." Islamic dietary law allows Muslims to eat meat. 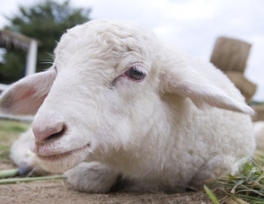 Certain animals are not allowed to be used as food, and when slaughtering, several guidelines must be followed to minimize the animal's suffering. Muslims are to recognize that when slaughtering, one is taking a life only by the permission of Allah in order to meet the need for food. As we have seen, all animals are to be treated with respect and kindness. Unfortunately, in some Muslim communities these guidelines are not followed. Some people mistakenly believe that since humans needs take priority, animal rights are not an urgent issue. Others find excuses to mistreat certain animals, such as dogs. These actions fly in the face of Islamic teachings, and the best way to combat such ignorance is through education and good example. 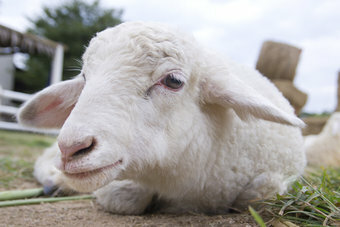 Individuals and governments have an important role to play in educating the public about the care of animals, and establishing institutions to support animal welfare.